Classic Shoujo: Manga, Anime, and Japanese culture from the past: Classic Shoujo Is Now At 8tracks, Too! Classic Shoujo Is Now At 8tracks, Too! Did you know I have a playlist titled "Ladies Of Vintage Japan" over at 8tracks? 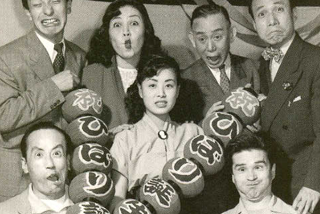 Listen to classic stars like Hibari Misora (pictured above, center) and the Peanuts any time you want. Don't worry, shojo music is coming soon and I'll be adding Christmas goodies!